Welcome to Bodybuilding.com, home of the Gains Burger. We've got your order hot and ready to go. In the fitness world, "burger" can be a dirty word. After all, the fast-food versions of these meat-filled sandwiches are greasy and can have questionable protein sources. Today, I'll show you that a good burger doesn't have to be considered a cheat. Just make it right—and then earn it with your training! 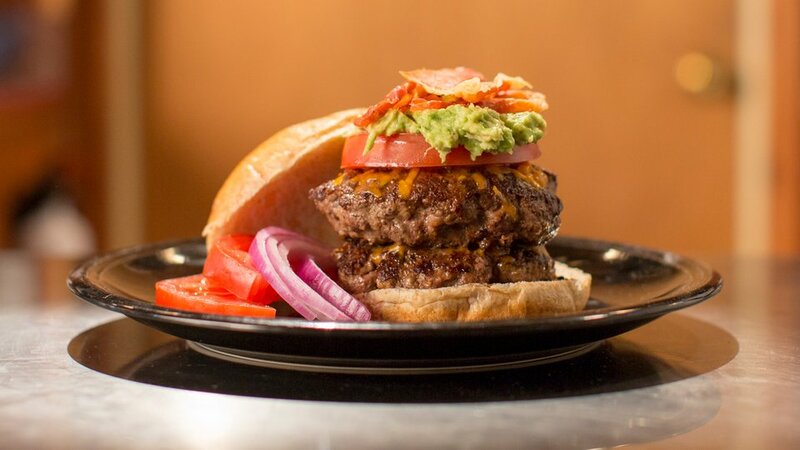 It's time for you to meet the Cheddar Avocado Gains Burger. I'm Rob Smith, and this is the Everyday Beast. I chose to highlight this recipe to clear up the confusion about burgers once and for all. Most people love hamburgers but reserve them for "cheat meals." Truth is, you can have a burger any day of the week, so long as you choose to load it with quality ingredients that fit your macros. I like beef, I like cheese, and I like gains. This dish gives you all three. Don't let the spices and ingredients lead you to think this is a complicated recipe. It's actually very simple and shouldn't overwhelm you. I want to make sure people know that cooking healthy isn't rocket science. It just takes a trip to the store, a little creativity, and the will to grow. Next time you're tempted by a fast-food burger, think again, and choose gains over gut.